The tender offer for the Pharmstandard GDR’s has been completed successfully today. The deal was completed without a hitch and the cash has already hit my account. Making 3% in two weeks time in – what I perceived to be – a low-risk transaction is pretty sweet. I’m wondering if Pharmstandard GDR’s are, after the completion of the tender offer, once again an attractive deal. The price has dropped to $4.58 while Augment Investments intends to take the whole company private. If the remainder of the shares is also bought at $5.50 you could make a solid 20% return. Usually in a transaction like this that would be a reasonable assumption, but I’m not so sure if that will be the case here. I believe that the plan is to cancel the listing of GDR’s in London and then make a mandatory tender offer for all ordinary shares under Russian law. At that point of time, they will presumably offer a price in rubles that may or may not be related to the 5.50 dollar bid for the GDR’s. In addition to that I doubt that minority shareholders are well protected in Russia and if Augment Investments can squeeze out the remaining shareholders for less than that they will probably do it. But if I have a reader who knows more about how this transaction will unfold I’m of course all ears! 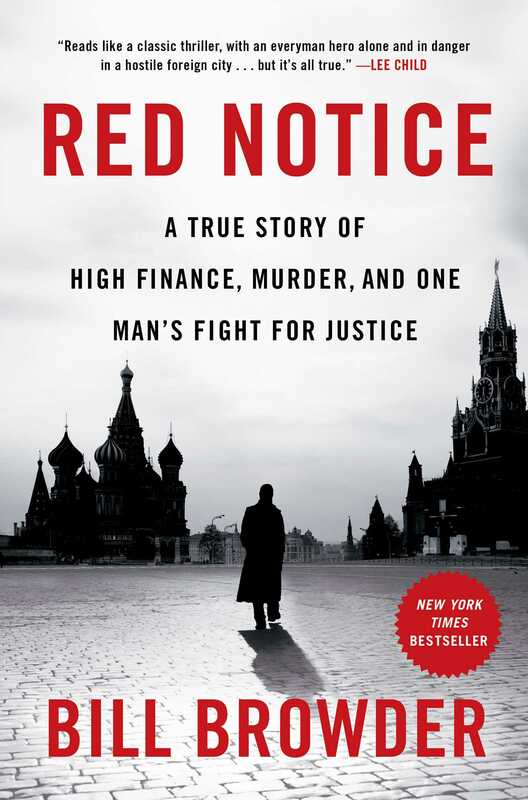 On a somewhat related note: last week I finished reading Bill Browder’s “Red Notice” about an American fund manager who thought that activist investing in Russia was worth trying. It’s not the kind of book that’s going to make you a better investor, but it is well written, fascinating and reads like a thriller. Highly recommended! I’m probably the only blogger stupid enough to link to Amazon.com without an affiliate link. This entry was posted in Portfolio and tagged PHST.L on June 25, 2015 by Alpha Vulture. Thx again for the idea. Great return with low risk. 2. potential unknown tax ramification for US investors. 3. unfamiliarity with the London GDR market. 4. high cost of trading international stock with certain brokers. I believe the Russian law provides that the mandatory bid would have to be at no lower than 6 month average price (on MICEX, presumably) or the maximum price paid by the bidder (which would be $22/share – equivalent to $5.50/GDR – paid to Shuster in May), same for a subsequent squeeze-out (over 95%). There’s an FX risk there, of course. I’m not sure I understand, however, the rationale for the amendment they made to the tender offer, whereby Shuster didn’t tender his 10% of GDRs into the offer, but has to sell them separately by 30 July. The mandatory bid would obviously depend on this transaction being completed now, but they could change their mind. Did some Google’ing and found this document that describes how investors can be screwed in squeeze-out procedures in Russia.